We’ve been building custom PCs for more than 30 years, but in recent years we’ve seen an increase in requests, particularly for software-specific PCs that can handle today’s most demanding software, such as Adobe Premiere Pro and AutoDesk Maya. ALL OUR CUSTOM PCs INCLUDE INSTALLATION BY AN ENGINEER AND 3 YEARS ON-SITE WARRANTY. 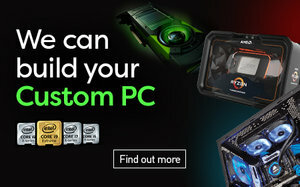 One component that custom build customers need specialised is graphics cards. Our custom build PCs all have high-end graphics cards, such as NVIDIA RTX, AMD Ryzen Threadripper 2, and coming soon; AMD’s new Radeon VII – 16GB. If you need a top-notch GPU to cope with your workload, our HSi PCs are perfect. The first of these new additions is the HSi Custom PC: Adobe Premiere Pro, built by our specialist team to maximise your output with Premiere Pro. The base configuration has 64GB of RAM which allows you to render 4K, and this is upgradable to 128GB which will mean you can push up to 8K content. You will need 10GB VRAM from your graphics card to be able to maximise the software, so we have made the NVIDIA RTX 2080 Ti with 11GB an option on this PC. We have fitted this custom build with 3 SSDs to increase your importing speeds by x30. The primary storage device will allow your OS and software to boot up in record time, the secondary storage device will seat your projects to increase import speeds, and the third SSD can then be used for dedicated media cache/scratch which will improve performance when you’re playing and scrubbing through compositions. 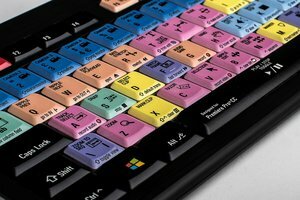 Included with this PC is a software specific Logickeyboard for Adobe Premiere Pro, which have the shortcuts bound to each key as well as a visual representation to cut time and help you work faster. Another software-specific model is the HSi Custom PC: AutoDesk Maya. 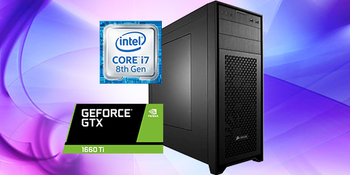 This PC features i9-9900K, with one of the highest CPU clocking times available, and maximises your single core output in Maya. We offer you the RTX 2080 Ti 11GB to make sure you have the highest and smoothest FPS. We have also included 32GB RAM base, which is upgradable to 64GB, to ensure that you can deal with any large complex scenes. We have provided two of our finest SSDs in the Samsung Pro 970 to help you to decrease your saving and loading times and allow you to store your OS and software on the primary storage and all of your projects on the Secondary. Also included with this PC is the Logickeyboard for AutoDesk Maya, with its shortcuts bound to each key to optimise your time. We have incorporated the new i9-9900X into our custom builds to allow you to create the intensive PC you need, and with this X299 chipset you get 3.5GHz of base frequency, 10 cores/20 threads, and 19.25MB smart cache to meet your demands, but if you need a little extra you can upgrade to the i9-9940X. When it comes to graphics, we offer the NVIDIA RTX 20 series with real-time ray tracing, programmable shading, and fast performance to match the X-Series CPU. This custom PC features the X399 chipset AMD Ryzen ThreadRipper, with up to 16 cores and 32 threads for fast speeds to help you with heavy workloads. It also has Zen Core architecture, with AMD SenseMI technology for increased performance. Available with our range of NVIDIA RTX 20 series graphics cards, powered by Turing GPU Architecture. Our Flagship Intel custom build featuring 9th Gen Intel Core processing. The i9-9900K offers 8 cores, 16 threads, and 5.0GHz max frequency, and provides Hyper-Threading for a high-quality CPU experience. Also available with the NVIDIA RTZ 20 series graphics cards to bring you real-time ray tracing, programmable shading, and fast performance. An affordable Custom PC Bundle. The i7-8700 provides 8 Cores, 12 Threads and Max Frequency of 4.60 GHz. This processor has Intel Virtualization and Intel Turbo Boost Technology to optimise your Custom PC. Your high-end CPU is teamed with a high-end graphics card in the shape of the new NVIDIA GTX 1660 Ti. The RTX 20 series brings you Turing Shader Technology and Nvidia Ansel. If you need a high-end PC built to your specifications, then we can help. Give our knowledgeable sales team a call to discuss your requirements on 020 7111 1643, or email sales@hardsoft.co.uk, or you can use the web chat option on our website.